and writing several papers. (a) Handbuch der Physik "General Geophysical Aspects of Cosmic Radiation" (with E. Ray) (b) R.S.I. paper on rockoon technique (with Gottlieb), (c) Ozone for Journal Geoph. Res. (Hopfield) (d) Transition experiments (old V-2 exper). (e) Total C.R. omnidirectional intensity and energy integral in the atmosphere. 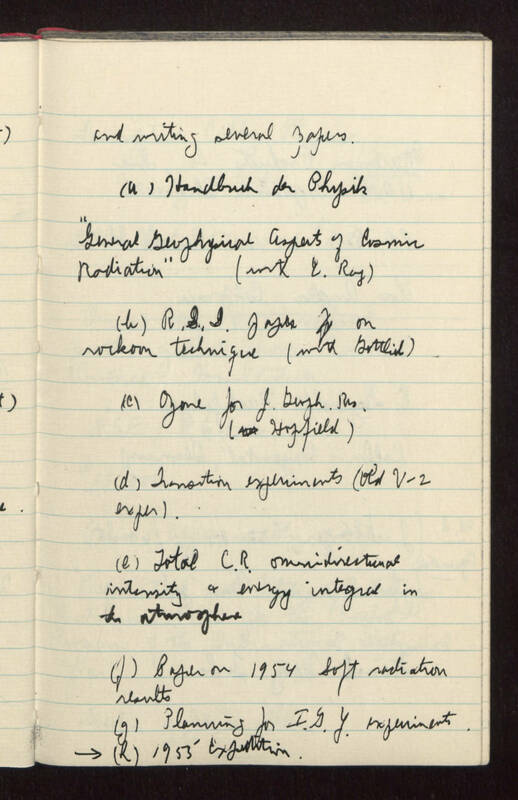 (f) Paper on 1954 Soft radiation results (g) Planning for I.G.Y. experiments. (h) 1955 Expedition.